You are here: Home > Morrison Soon? 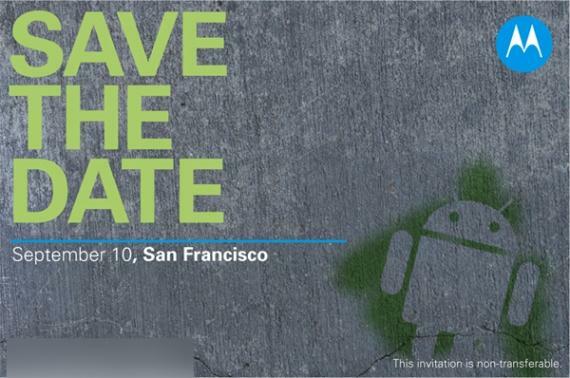 Apparently, Motorola is hosting an Android event early next month and forgot to invite me. While not yet confirmed, it is suspected that Motorola will debut the Morrison, Verizon’s Sholes(or both!) on September 10th. This is welcomed news since it was previously thought that the official debut would not be until October. Now, lets hope the Morrison is released, in all itsAndroid goodness, and that it won’t let us down (I’m sure Motorola is thinking the same thing). Leave your thoughts in the comments! If it’s good, I’ll take the plunge! It’ll probably to show off the Sholes for Verizon, and yet again, we TMo’s will get left “waiting” at the door.